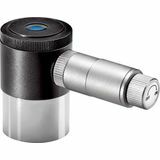 This Orion 6.3mm E-Series Beginner Telescope Eyepiece is a great higher-power lens for beginning astronomy enthusiasts due to its high-quality glass lenses, admirable performance, and amazing value. 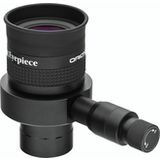 Compared to other 6mm telescope eyepieces, the 6mm Orion Expanse Eyepiece gives you a wider field perfect for detailed views of the moon, planets, and double stars. With long eye relief even eyeglass wearers can view the entire field of view. 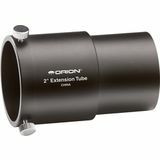 The Orion 9mm Expanse is a low cost, high power wide field of view telescope eyepiece that is perfect for detailed views of nebula and planetary objects. It delivers sharp, true to color images and has great eye relief, good for eyeglass wearers. 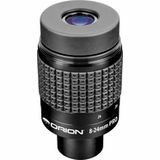 This 2" Orion eyepiece Extension tube provides extra focuser back travel often needed to achieve focus for short-range terrestrial viewing. 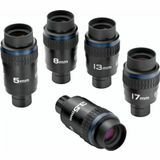 It includes two locking thumbscrews, is threaded for filters, and fits 2" eyepieces or focusers. 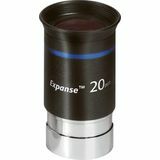 The 20mm Orion Expanse is a low powered eyepiece that is perfect for wide field views of deep sky objects. 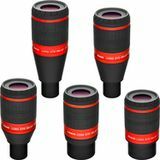 The fully multi-coated elements deliver sharp images with good color correction and contrast. 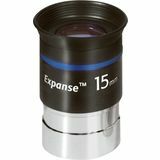 The 15mm Orion Expanse is a medium-high powered telescope eyepiece that offers a wide field of view with sharp, high contrast, true-color images. 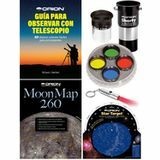 Perfect for deep space observing and also features great eye relief for eyeglass wearers. 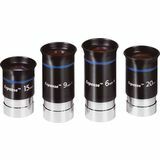 2" eyepieces at an affordable price! 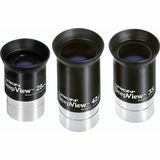 The Orion DeepView 3-element design provides bright images and great contrast. 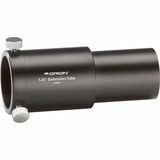 Long eye relief allows for comfortable viewing even with eyeglasses and the barrel is threaded to accept standard 2" eyepiece filters. 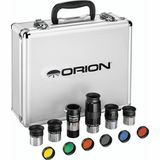 Orion Sirius Plossl eyepieces are ideal for any type of telescope; refractor, reflector, or catadioptic. 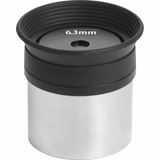 They offer a 52-degree apparent field with clean, high-contrast images. 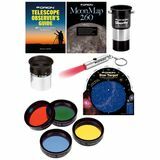 Fully coated optics provide crisp and bright views of the cosmos. 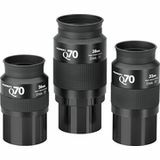 Orion Q70 eyepieces offer an amazingly wide 70-degree field of view! 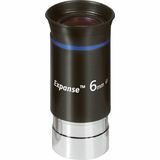 Five multi-coated lens elements deliver very sharp, high contrast views. Q70 eyepieces offer long eye relief and they're parfocal which makes it easy to swap between focal lengths. 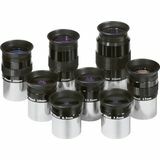 Stratus eyepieces deliver a wide 68-degree apparent field of view which allows you to see much more than a typical 52-degree Plossl. 8-element optics yield sharp, high contrast views while generous eye relief provides a comfortable visual experience. 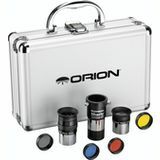 Each Ultra-Wide Orion LHD telescope eyepiece features an 80-degree apparent field-of-view and lanthanum glass to eliminate color-fringing and chromatic aberrations for true-color, high-contrast views of the cosmos with exceptional clarity.